These are real cool. 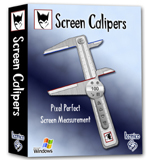 Use them to measure items on your screen. Alos, there are free downloads on this site that a great like the color whell.